Want a Solstice Shorts T-shirt? 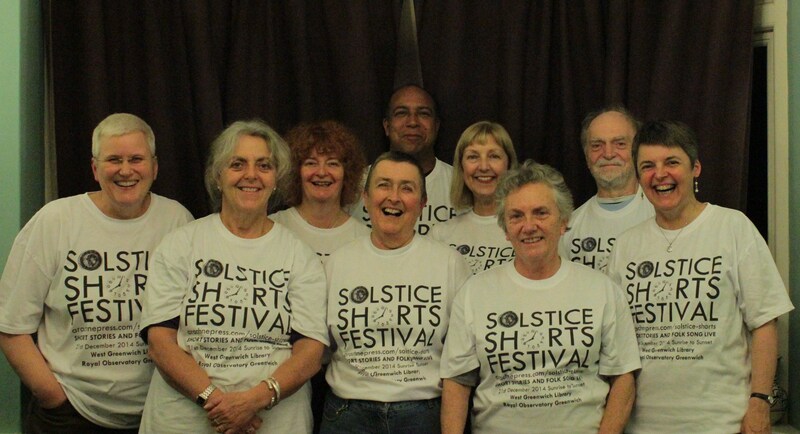 You can purchase one of our strictly limited Solstice Shorts Festival commemorative T-shirts from us on Sunday at West Greenwich Library (but not the Observatory) or order direct on-line in our new Shop. We only ever had 50 and our volunteers get them free, so snap one up while we have them! This entry was posted in Festival, Solstice Shorts and tagged Solstice Shorts Festival, T-Shirts, West Greenwich Library by Cherry Potts. Bookmark the permalink.